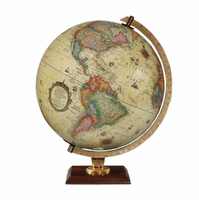 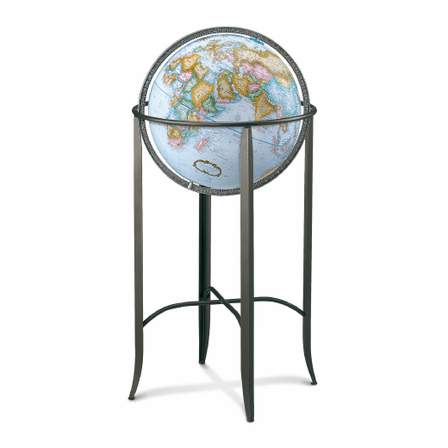 The Trafalgar globe, by Replogles Globes, has a 16' diameter, and a light blue ocean background, highlighting beautiful muted colors that delineate each country. 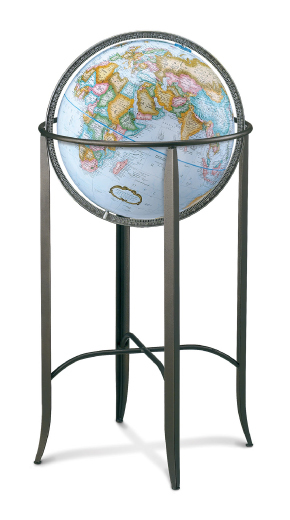 The mapped detail of cities around the world is stunning, and the globe is set in a pewter-finished die-cast meridian. 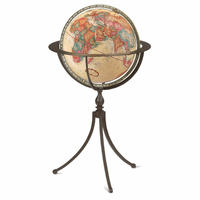 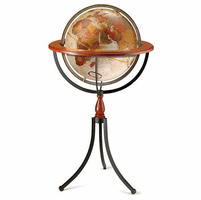 The solid metal stand echoes the look of the meridian in color, and adds a simplicity that displays the globe to perfection. 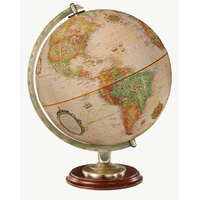 The total dimensions of this floor globe are 19' x 19' x 39'.